Whether or not my hair looks good can really affect my outlook and mood for the entire day. Things just always seem to go better and the day is more enjoyable when you know your hair looks healthy, shiny and stylish. I use a flat iron on my hair quite frequently since I can never seem to style it very well with just a brush and blow dryer. Since my hair is particularly fine and straight (and colored), I have to fight the flyaways and the frizz. I love how a flat iron smoothes my locks, but I've always been wary of using them too much since I know they can damage my hair. I've heard though, that this isn't the case with a high quality flat iron. In fact, I've heard that your hair can appear even more shiny and smooth if a high quality flat iron is used instead. I wanted to put the NuMe Vintage Flat Iron to the test to see if I could rid myself of "bad hair days" for good! I reviewed the Vintage Flat Iron in Blackfrom NuMe, which retails for $275.00, but is currently on sale for $145.00. Receive up to 70% OFF your purchase from NuMe with the coupon code "MEETNGREET"
NuMe offers a Nu Style, a Nu Change and a Brand Nu You! NuMe has created products that will revolutionize your everyday look. NuMe understands how frizzy and unruly hair can change the way you feel. Hair is truly transformational and the good news is, unlike the other features we're born with, it can actually be transformed into the silkiest, most gorgeous of styles. It's all about breaking new ground while staying smart and, above all, staying committed to the best quality the industry can offer. NuMe combines time-tested techniques with innovation to craft the ultimate styling tools for quick and easy long lasting styles, transforming your hair to any stunning look. NuMe’s best selling classic professional styler is the original 100% solid ceramic iron that brings shine and luster back to the most course or wispy hair. With its rounded barrel design, it’s ideal for transforming your hair to any glamorous look - silky straight, voluminous waves or perfect curls. Great for all hair types. The NuMe Vintage is a classic Professional Styling Iron with a unique alignment system that ensures ideal contact between your hair and our 100% tourmaline ceramic plates. Using pure ceramic plates ensures even distribution, eliminating the hot spots and chipping associated with conventional irons. Our 100% ceramic plates emit negative ions which seals moisture in the hair cuticle keeping your hair shiny, healthy and silky smooth. Because I have very fine hair, I love the adjustable temperature on the NuMe Vintage Flat Iron, which guarantees that I won't scorch or burn my hair. Also, because this iron heats your hair using infrared heat, the damage to your hair is lessened because the hair shaft is heated from the inside out. The ceramic plates infused with tourmaline on the Karmin G3 produce a wealth of negative ions, which ensure that this flat iron will produce frizz-free results that lock in moisture and add shine. 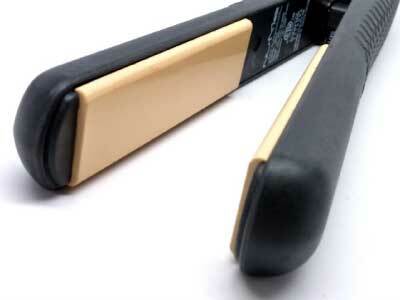 Finally, I am a huge fan of the 1.25" plate size of the Vintage Flat Iron, for now it is extremely easy for me to use this styling tool to curl, flip, straighten or add volume and body to my hair. It's definitely the only styling tool you'll need! 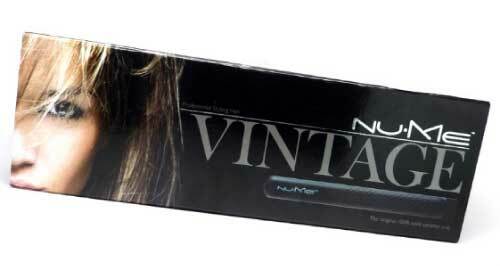 If you want to make sure your hair looks its best this holiday season, then I highly recommend the NuMe Vintage Flat Iron. This is definitely an investment in your hair and quite possibly the only styling tool you'll need since it can easily be manipulated to curl, flip, straighten or add volume to your hair. NuMe carries any and all high-quality products for your styling needs such as professional blow dryers, hair extensions and hair care products too! 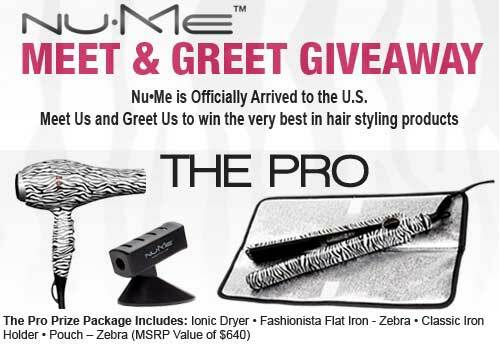 As part of their official U.S. launch, NuMe was generous enough to give my readers the chance to win The Pro Prize Package, which includes an Ionic Dryer, Fashionista Flat Iron, Classic Iron Holder and Pouch! You will definitely be styling and profiling if you win this fantastic giveaway! 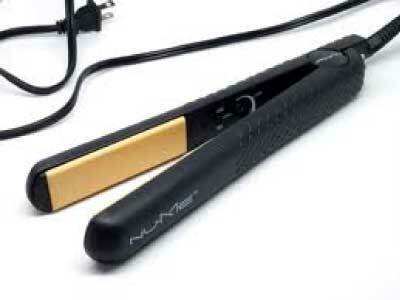 Disclosure: I received the Vintage Flat Iron in Black from NuMe in order to facilitate my review. No other compensation was received. This product review is based on my own personal experiences with this item and is completely honest and objective.